Finland is known for its beautiful night skies and fantastic architecture, giving the nation an awe inspiring aesthetic. Banjo-shredding hillbillies and bluegrass versions of Pantera songs don’t necessarily fit into those previous observations. Finland-based Steve ‘n’ Seagulls is exactly that, transforming hard rock and heavy metal hits into porch-swinging tunes while keeping the energy of the original piece. Today, we’ll be talking about their cover of The Offspring’s “Self-Esteem” from their “Brothers in Farms” album, as well as their takes on Pantera’s “Cemetery Gates” and Rammstein’s “Ich Will” from their “Farm Machine” album. Starting with the softest of the three metal hits, Steve ‘n’ Seagulls turn an Offspring classic into a Kentucky styled classic. Steve ‘n’ Seagulls turn “Self-Esteem” from a man’s painful soliloquy about an abusive relationship into something you might hear at a country jamboree. While their cover bumps up the tempo of the original and adds an excessive amount of banjos, it still keeps the “should I leave her?” tone of the original. Next up the hardness totem pole is their cover of Pantera’s “Cemetery Gates.” The redneck band takes the over seven-minute long heavy metal thrasher and turns in into a five-plus minute “humppa” style polka. This gives the song the signature sound of Steve ‘n’ Seagulls’ homeland of Finland. The once mind-melting song now starts with Herman picking on the banjo and singing. After a pause, the song quickly turns into a harder-hitting polka. The song then alternates a softer tone with a harder, more Gothic feel (much like the source material. )Herman shreds during his banjo solos, amplifying my goosebumps to a R.L. Stine level. “Cemetery Gates” quickly grew to become one of my favorite covers by Steve ‘n’ Seagulls. Not only is it a great listen for fans of the cover band, but is a great addition to any Pantera fan’s playlist. Keeping with Rammstein’s German origins, the entire cover is sung in German. Unlike Rammstein’s original, this version features acoustic guitar and Steve ‘n’ Seagulls’ Hiltunen’s accordion riffs making “Ich Will” sound like the soundtrack to pillage a village to. Remmel and Pukki’s mysterious singing gives me a similar emotional response to the Rammstein version. Even the almost limbering sounding bridge towards the end of the song sounds German in nature. 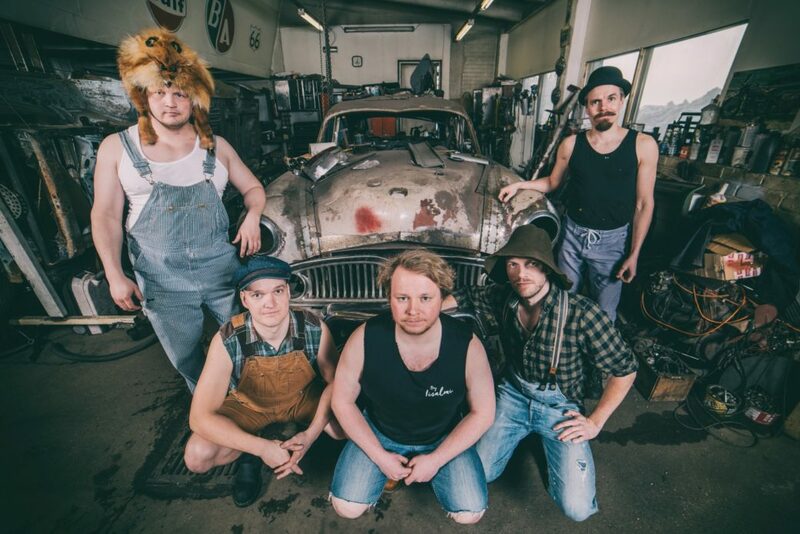 Overall, Steve ‘n’ Seagulls’ covers encompass a wide variety of the metal genre. The songs featured are only a small sample of what they have to offer, as showcasing them all would be impossible. I would highly recommend giving the band’s entire library a listen, as they quickly grew to be one of my favorite groups over a short period of time.